For all the fashionistas out there! 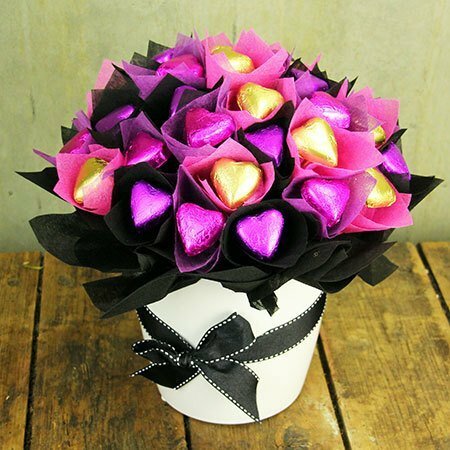 This white ceramic pot of three dozen edible flowers made from quality Belgian chocolate in love heart shapes is sooooo adorable. The chocolate used in our sweet as pie gifts is made in Sydney using Callebaut chocolate - a Belgian couveture chocolate manufacturer that makes chocolate with a high cocoa butter content favoured by many gourmet and culinary professionals. In other words, YUM.